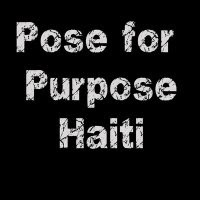 Just wanted to let you know about a fantastic event that is taking place on February 6th 2010 from 9am-5pm in North West London called Pose for Purpose: Haiti. A group of creatives including makeup artists, photographers and hairstylists have all gotten together to offer their services for free allowing you to have a professional photo shoot with all donations going to support the children in Haiti. I will be helping out on the day and it would be great if any of you could make it. Here are the details below as well as links to the websites of some of the creatives involved. If you have wanted to get any pictures taken of you now is the perfect time to do it, and the best bit is that what you donate will be going forward to save and help a child. Hope to see you there. The Event: A pre-booked professional photo shoot with fabulous makeup and superb photography for individuals and families. Each session will last a maximum of 1 hour. This is an entirely charitable event, with every artist volunteering their expertise to work together in creating beautiful images in order to raise funds for Haiti. ALL donations received will go directly to support the children in Haiti via Compassion - http://www.compassionuk.org/, (charity registration no 1077216). 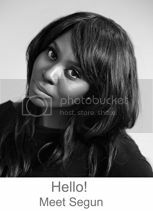 Exceptional Photographers include Ade Okelarin (http://www.asiko.net/), Trey Mujakporue (http://www.flickr.com/photos/pr0file/) and Jide Alakija (http://www.jidealakija.com/). Makeup Artistry and Headties from fabulous makeup artists including Becks Buki (http://www.becksbuki.com/), Bolanle Okusanya Feyita (http://makeupproonline.com/), Queen A, Gbemi Gee Balo, Juliet Esiri and Kemi Kings. Your Donation: It's not about the money but about raising the awareness of the need to aid those in Haiti. Many of us can give a lot more than just money. We appreciate anything that you can give to show your support for this cause. Your Images: A selection of your best images captured will be sent to you as electronic high resolution images that you can print and enlarge as you desire. So whether you are updating your family records, putting together a special valentine’s day present or organising pre-wedding or post-baby albums, let us help you create gorgeous enduring memories whilst you help the children devastated by the tragedy resulting from the earthquake in Haiti.